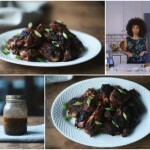 I’m so excited to share my Entertaining With… feature from top lifestyle blogger Camille Styles. 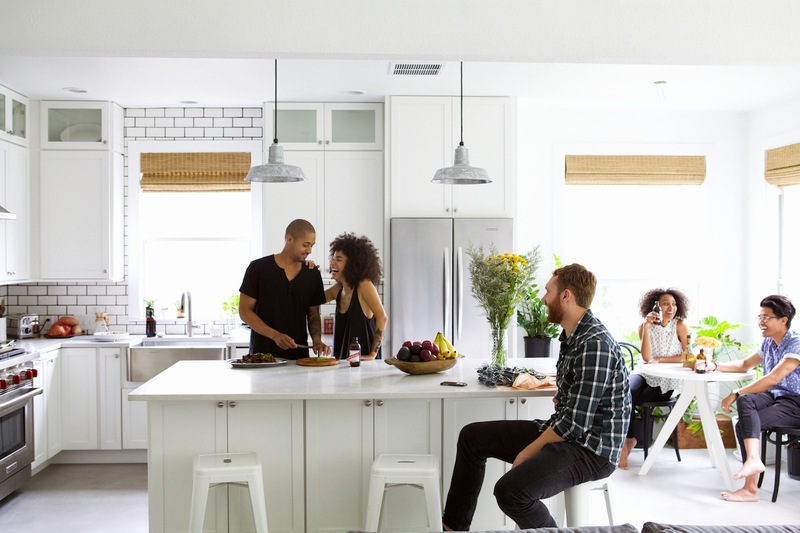 The wildly popular “Entertaining With..” series, spotlights the home and entertaining style of our favorite creative people around the country. Past profiles have included Daphne Oz of ABC’s The Chew, Paul Qui from Bravo’s Top Chef, Eye Swoon interior designer/blogger Athena Calderone, Abby Larson founder of Style Me Pretty, Diane Von Furstenberg’s personal chef Jane Coxwell, Haylie Duff and many many more. 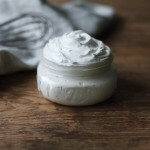 Check out some of my feature below and head on over to CamilleStyles.com for the whole story and a ton more pictures! There’s a saying going around Austin right now that “ten people move here every single day.” While we haven’t exactly taken the time to fact-check that stat, it certainly feels true, and Forbes magazine has just named Austin the 2nd fastest growing city in America. With so many talented young people unpacking their boxes here, it’s getting harder and harder to stand out from the crowd. 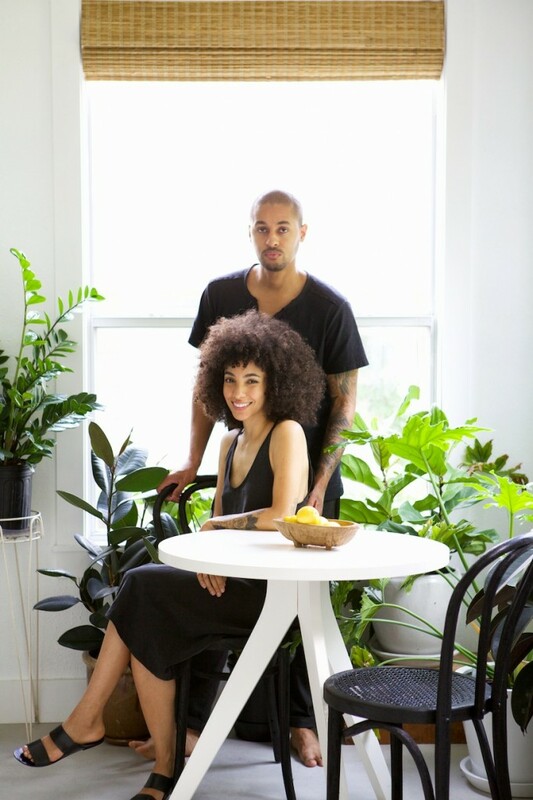 But Nikisha and Carl Brunson have taken Austin by storm in less than a year and half — he’s an interactive designer and director and she’s the blogger, vlogger, (and one incredible head of hair) behind Urban Bush Babes. 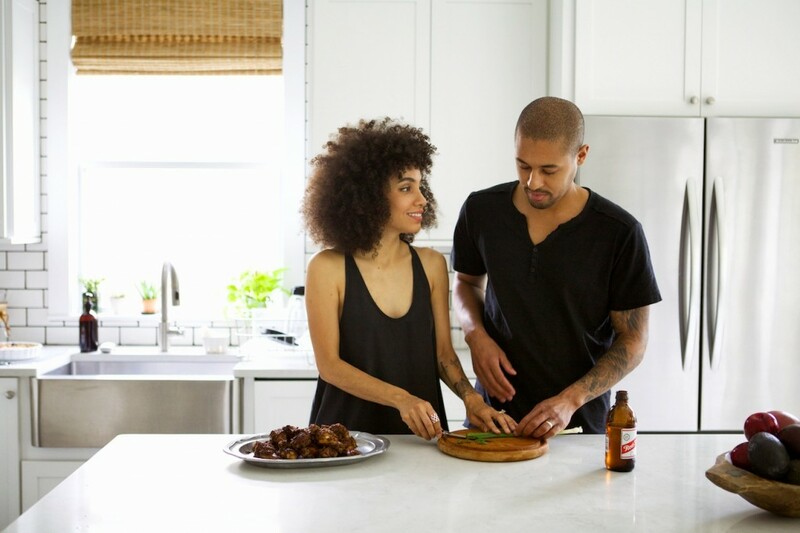 From the moment we discovered Nikisha’s painfully cool instagram account (along with 10K other people), we’ve been dying to meet this buzz couple and get an inside look at their mod spartan home in North West Austin. We lucked out and scored an invite from the two for lunch — what we found was an envy-inducing kitchen, the best mac and cheese we’ve ever tasted, and a couple who are completely beautiful… inside and out…. 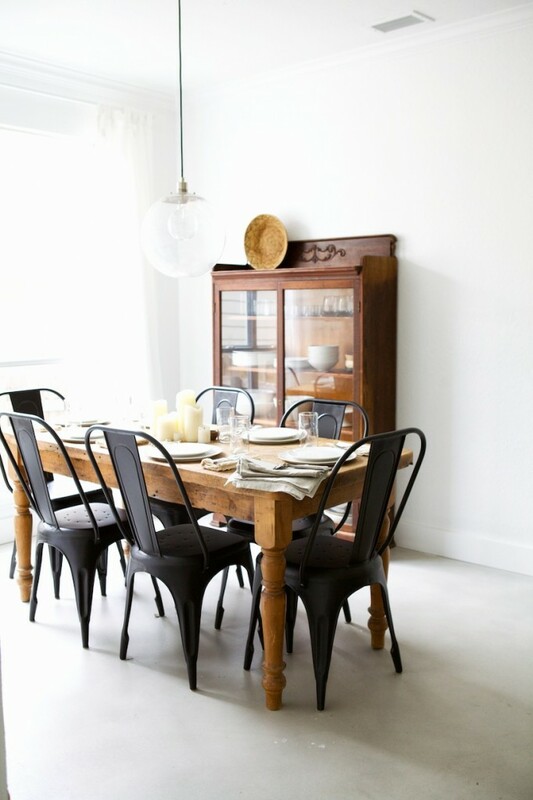 We’re kind of obsessed with your dining room table. Where did you score it? I’m obsessed with French antique pieces and it took me a long time to hunt the perfect table down. I scored it on Ebay and went to pick it up in Dallas. 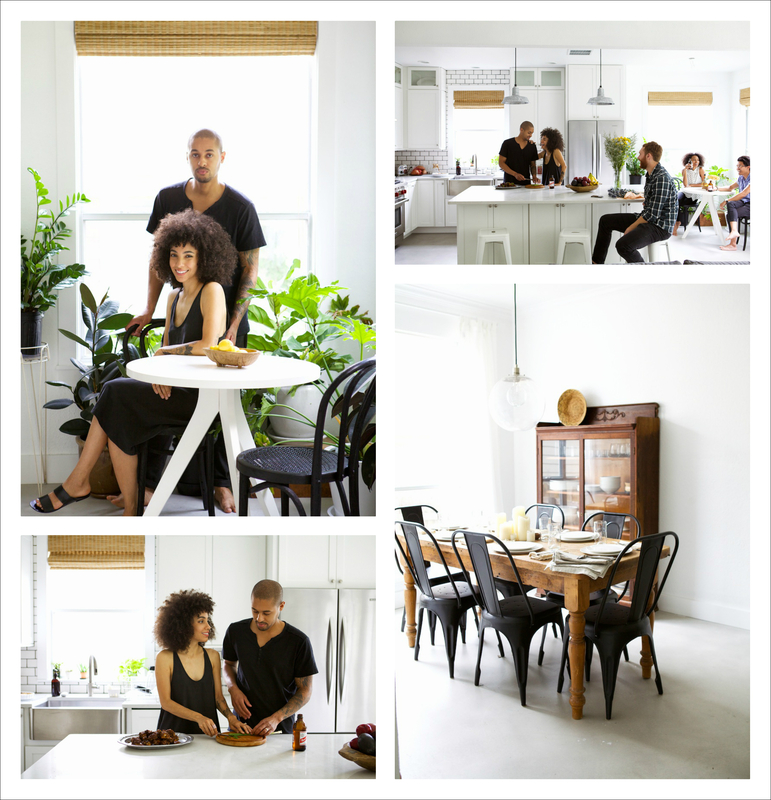 Your kitchen is seriously beautiful — did you and Carl design it? 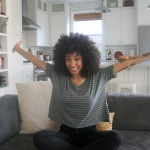 Or did you just hit the jackpot when you were house hunting?I realized during our house hunt that I would have to design my own dream kitchen because everyone has different interior design taste. We gutted the whole kitchen and redesigned it. Tell us a bit about your Jamaican heritage and what it means to you:My mother is Scottish/ English and my father is Jamaican. Although my father didn’t raise me my mom incorporated a lot of the culture including the cooking into my childhood. It’s been wonderful to pass that culture on to our son and share it with others. I’ve visited different parts of Jamaica as a teenager. When I was younger I believed a lot of my identity was in my heritage, but as I have gotten older I’ve come to know my identity is in Christ alone. He transcends heritage, race, and culture. Dinner with my husband at a Japanese Restaurant called Sansei in Maui Hawaii. The food was incredible. We really love this shot of you guys saying grace at the table. In all of our Entertaining With stories, no one has ever done this before.It’s very important to us as a Christian family to pray and give thanks to God. He has blessed us with more than we could have ever asked for and He is the very foundation on which our lives, marriage, and family is built. Prayer is one of the ways we can express how thankful we are for His Grace and love. 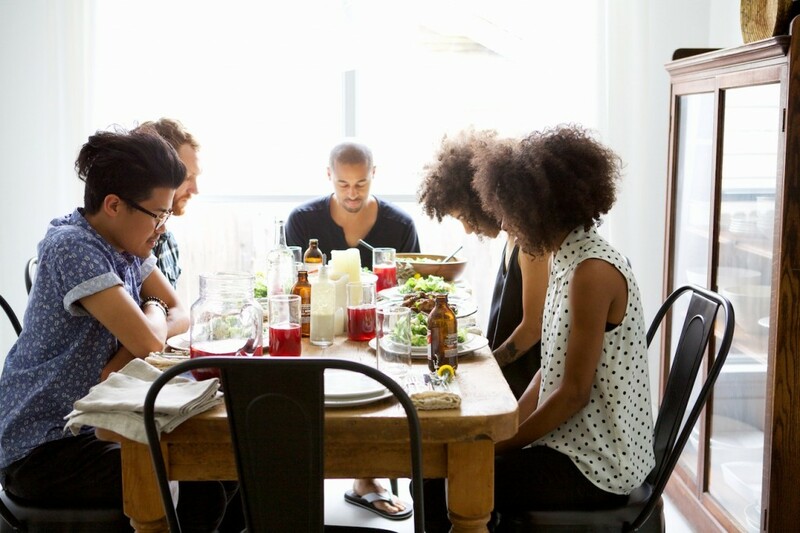 Any rules to live by for good table conversation?I love to find out how my loved ones are doing and what they’re up to, even if they are new people I’m meeting. So I like to ask questions and listen. It’s always great to be a good listener. I also like to tell funny stories to make my guests laugh. 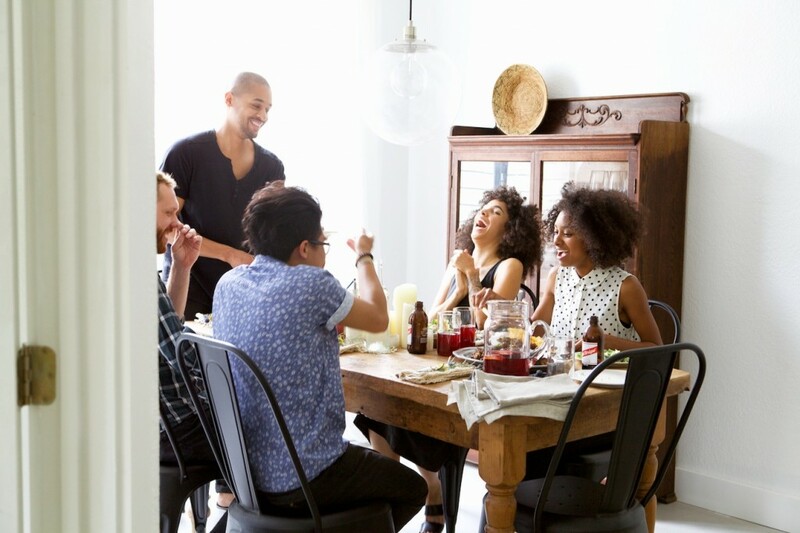 Who are you dream dinner guests?Tracy Ellis Ross, Michael Cera, Natalie Portman, Karen O (The Yeah Yeah Yeahs), Donald Glover (Childish Gambino), Thom Yorke, Santi Gold, along with my friends and family. And Francis Chan! Its’ something special about you, and its the love of Christ which lives in you. Much love to you and your family. Thank you so much for the beautiful blessing @disqus_bYtLFMrsTq:disqus! I’m so humbled. God bless you! Awe… you’re so sweet, thank you so much @charlottethevintagevogue:disqus!!! You can absolutely come over! That last shot is actually not my hubby, it’s our friend Zach. I always give hugs to my friends. Nice to see a story on you and not just photos of the twins. Awe…thank you so much Ms. Web. I feel you!